With more than two-thirds of the global population actively using a mobile device, mobile marketing is one of the fastest ways to find customers. Entrepreneur magazine recently listed the top 10 mobile marketing channels, along with useful advice for making your marketing messages reach out and connect with customers. 1. Mobile Email – Invite customers to join your email list by adding sign-up links to your website or texting in their email addresses. 2. Mobile Internet – It is essential to make your website user friendly on mobile devices. 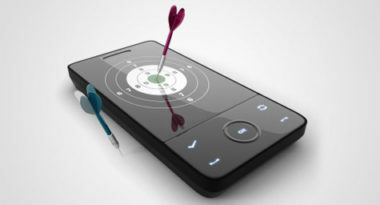 Then, increase mobile visitors by including your website’s address or a QR code in all of your advertising. 3. Mobile Search – Since most people use mobile search to find a nearby service, add mobile-friendly maps and directions on your website. Encourage customers to check in on a social media service when they visit your location to allow their friends to find them. 4. Text Messages – Attract customers by asking them to opt-in to your text messaging list. Secure a short phone number and opt-in keyword, then use the service to send out timely text messages. 5. Multimedia Messages – Similar to text messaging but with the addition of photos and sound, use the same text messaging techniques to build your list but send out messages with greater multimedia content. 6. Mobile Advertising – Place ads on various outside mobile sites and include your ads on all of your mobile communications, such as emails and text messages. 7. Mobile Apps – Promote your mobile app in app stores and through downloads directly on your website, then develop marketing content exclusively for the app. 8. Mobile Content – Provide links and QR codes that activate compelling mobile content such as videos, download,s and images. In addition, post that content to mobile-friendly sites to increase your exposure. 9. Capabilities & Enablers – Take advantage of a mobile device’s features, such as cameras, GPS, and Wifi by incorporating them into marketing promotions that make customers use them to interact with you. 10. Voice – It may sound basic, but advertise your phone number. Use the friendly appeal of your voice to communicate your marketing messages either directly or through a voice response system. These are some of the most effective mobile marketing tools and they are redefining the way that companies communicate with consumers on the go. Read the mobile marketing article. MDG Advertising, a full-service Florida advertising agency with offices in Boca Raton and New York, NY, specializes in developing targeted Internet marketing solutions, exceptional creative executions and solid branding and media buying strategies that give clients a competitive advantage. Our core capabilities include print advertising, branding, logo design, creative, digital marketing, media planning and buying, TV and radio advertising, customer relationship management, loyalty programs, public relations, Web design and development, email marketing, social media marketing, mobile marketing, and SEO. View MDG Advertising’s creative marketing portfolio.